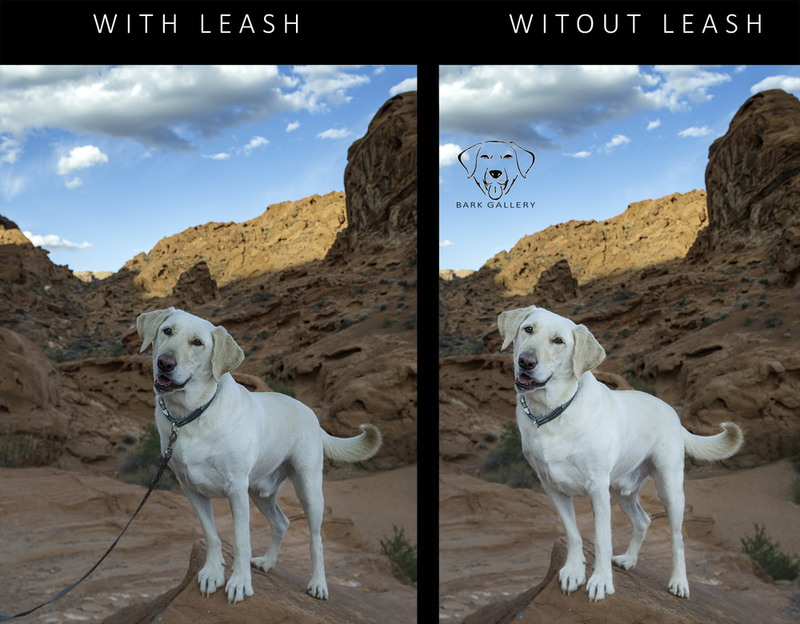 Leash Removal is free of charge at Bark Gallery with the session fee. Dog leash is a tool that is used for safety. It doesn't look great in photographs and is always removed for final products. Are you concerned your dog won't perform well at the Bark Gallery session? Untrained dogs can be a challenge but they often end with some of my favorite photographs. So you have some blank walls in your home and you are looking for decor. Why not decorate with a beautiful portrait of your furry family member? This shows a few of the interior layouts that I have done and talks a little about some of the products I offer at Bark Gallery. iPhone Photo Taken of a client's dog. "Crash" It was edited on my phone and posted just for fun before the final images were completed. 5 Pet photography tips to help with taking candid photos of your pets. A few of the tricks outlined will help you get better cell phone photos and impress your friends!